A Truck, A Move and Offering Prosperity to My Family. The truck, its cargo area full of their life, caught gusts of wind every so often as it bounced along the freeway. It wasn’t an escape as much as a parole or something similar. They weren’t sure about how long things would take to get their new lives in order, they only knew that things had changed and for the better. The above was what rolled through my mind this past week as we moved from our residence in Las Vegas arriving nearly 400 miles later at my mother-in-laws. It was a move that had been coming for years, but a perfect compliment of things made the move possible and without delay, we set upon making it true. Last summer my father-in-law became really sick and we’d come up just after the 4th to be with him, but we didn’t know how bad he was until he left us in November. On our return trip last summer, my wife asked me a question, one which I wasn’t ready for. They were words I’d been waiting for, but never believed she’d say. The job I’d had for 14 years had drained me. I’d become less of the person I wanted to be and had become a shell. The only thing that saved me last year was finding Transcendental Meditation (TM). TM changed who I was and I became more positive about the future and where I wanted to be and with that, I knew I wanted my family to be somewhere else and with overt sexualization of women in Las Vegas I wanted my daughter to be raised somewhere better for her. The plan was for me to find a job then move, but that isn’t how it went, because, you know, plans don’t work often. I discovered there were those I worked with who didn’t believe that I’d leave, after all, I’d been there for 14 years and planned attempts to get out before, but this time felt different. I felt like my wife truly wanted this. I turned in my notice at my job, something which felt amazing after working hard for a company that had stripped the staff, amenities and removed the good food we’d been served for years, giving us mostly sous vide food which was less quality than we’d had before. 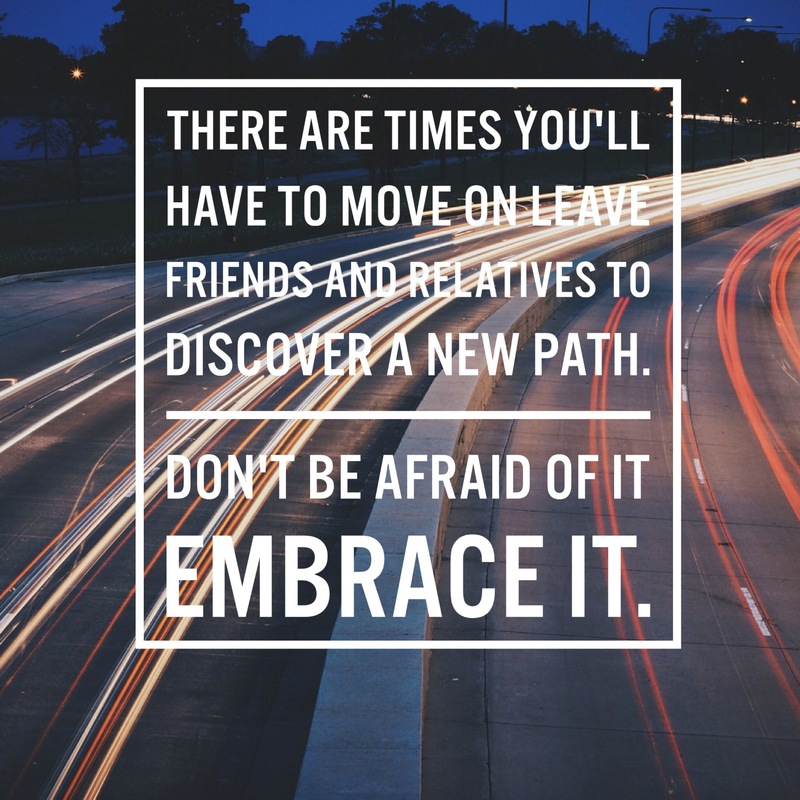 Now that we’ve moved, our kids are adjusting daily, as are we, but I know there are others who want to leave, but are unable because of one reason or another. I say to them, when the opportunity presents itself, grasp it, hold on to it. It may feel hard to leave a job, friends and relationships you’ve built, but a better life for you and your family is more important than any monetary gains you’d get by staying. Piece of mind is the greatest gift this move has given me. I no longer worry about what I’ll find arriving at work, or the type of drama I’ll be forced to listen to. What is the most important thing to me, are my kids, wife and being able to do the things they need to prosper in this world. Prosperity in their lives gives me unfathomable peace when I sleep. Now, back to living the life I want, not the one I’m forced into. Previous Post Previous post:Self Discovery, Las Vegas and New Adventures. Next Post How Progress Leads to Change, To Learning About Ourselves and Finally Discovery of Self. Loved this blog. Very well written. Hope you like Utah. I have family there. They are photographers and love it. Taking getting used to, but we’re adjusting faster than I thought we would.